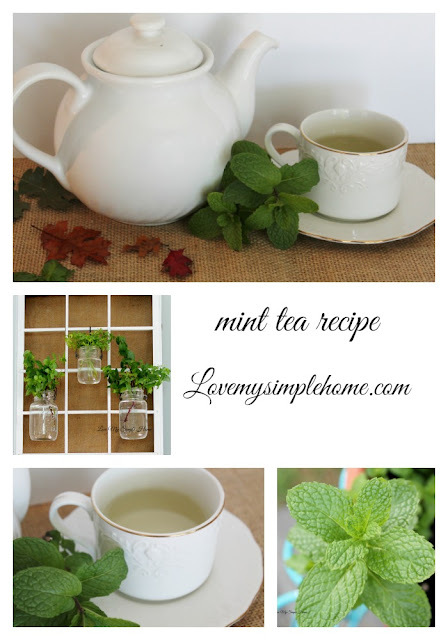 Make time for tea with this simple recipe using fresh mint. This tea recipe is the perfect way to recover and refresh your spirit and gain some of its health benefits. The aroma wafting up from a cup of hot mint tea can start to settle an upset stomach. I brewed up a batch in my kitchen using mint from my garden. Here is a simple recipe for you to make in your own kitchen. This RSVP Chai Teapot holds 6 cups of tea, is made of stoneware and is lead-free. 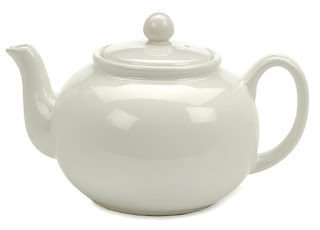 This teapot can be used with The Empress Tea Strainer. I clipped a few sprigs of mint from the planter on my patio. Even in early fall, my mint is still growing strong! Wash the mint - Rinse the leaves to remove any soil, pat dry with a paper towel. Roll the mint between your palms or tear the leaves to help release the aromas. Place the leaves into the teapot. Pour the boiling water over the leaves, cover the teapot and let it steep for 5-10 minutes. The longer you leave the leaves in the stronger the tea. Use a strainer if desired to remove the loose leaves. Pour into your favorite teacup. You can add honey if desired. Inhale deeply, sip and enjoy the refreshing flavor and uplifting aroma! Mint is a hardy perennial and is easy to grow. Mint requires little maintenance, (which I love) however it does tend to take over the garden. To combat this problem I grow my mint in containers. I also keep mason jars filled with herbs in my kitchen. 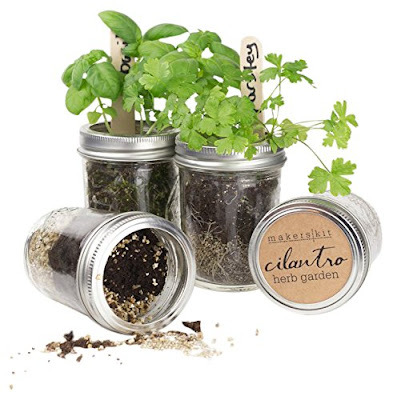 If you are thinking of starting an herb garden in your kitchen you may want to use this sweet herb garden set.